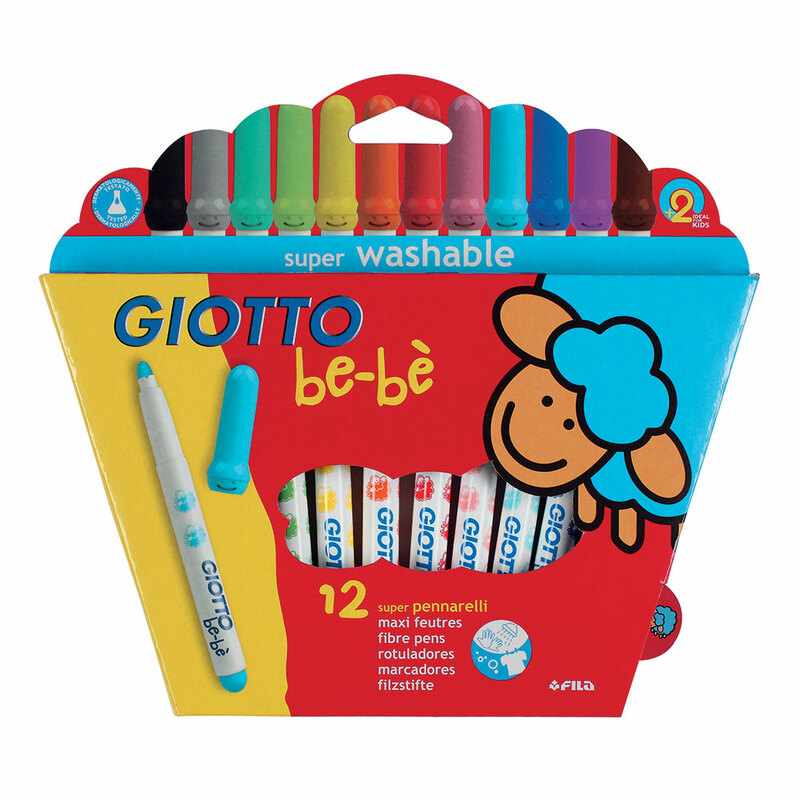 Giotto Be-be Super fibre pens are ideal for very young children who are making their first foray into art. They are manufactured with safe, dermatologically tested ink, which washes off hands and fabrics easily. 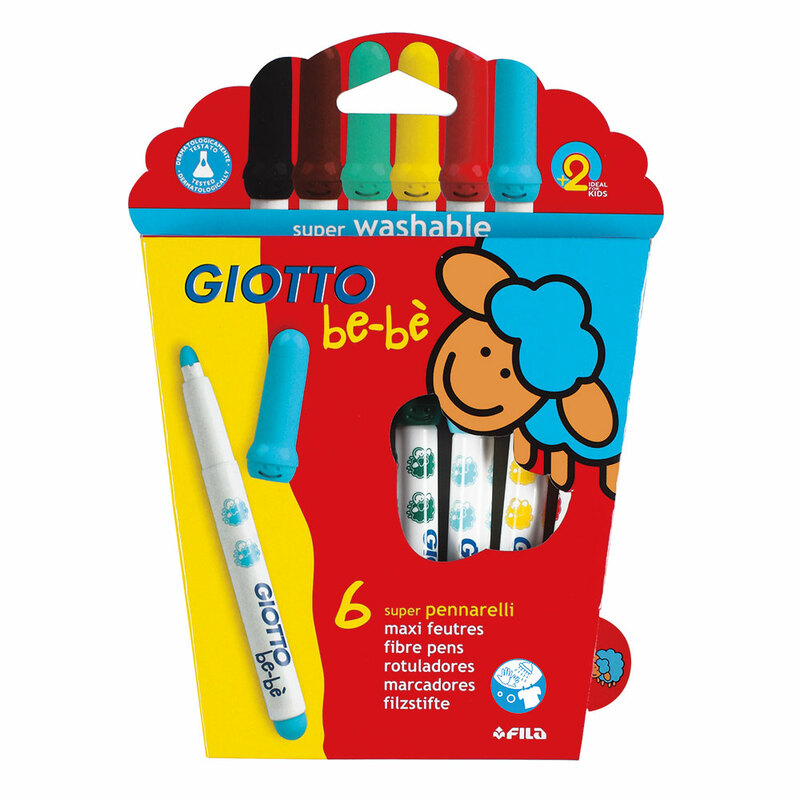 The ventilated, anti-choke, safety cap and super-resistant blocked nib (diameter: 5 mm) makes them simple safe to use for even the littlest of artists, offering outstanding protection against accidents. 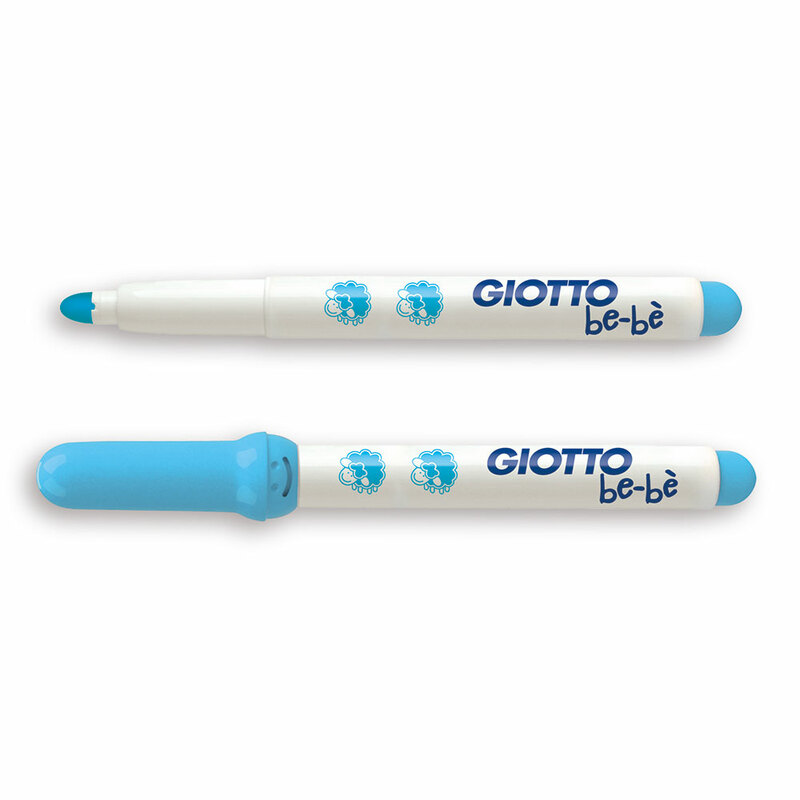 These pens are short and easy to hold, with no removable parts. Total safety guaranteed due to careful selection of the product components and meticulous quality controls carried out at each stage of the production process. 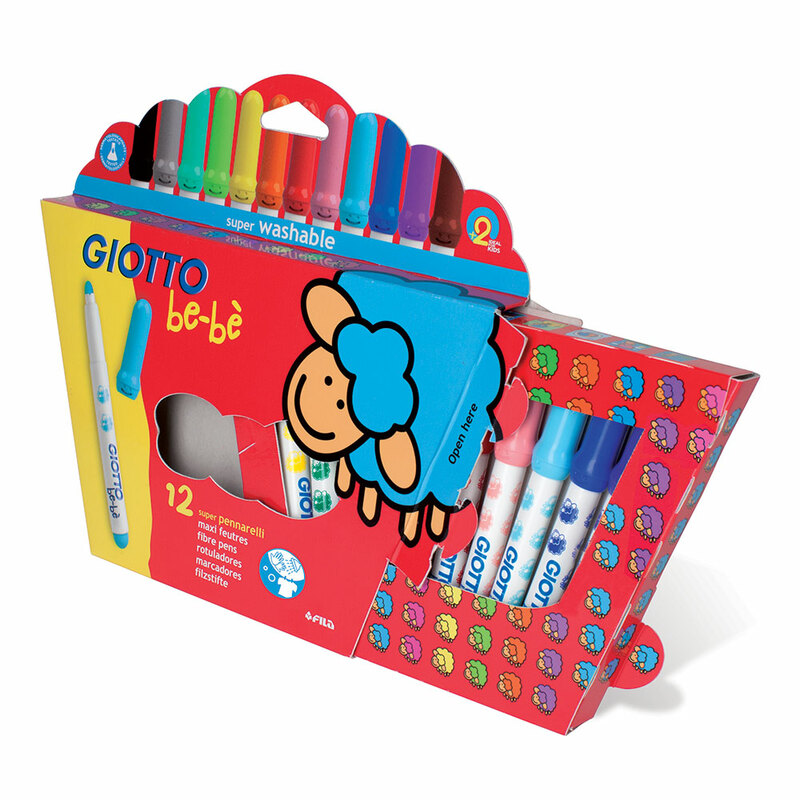 Their imagination is 100% free and safe and colouring has no limits! 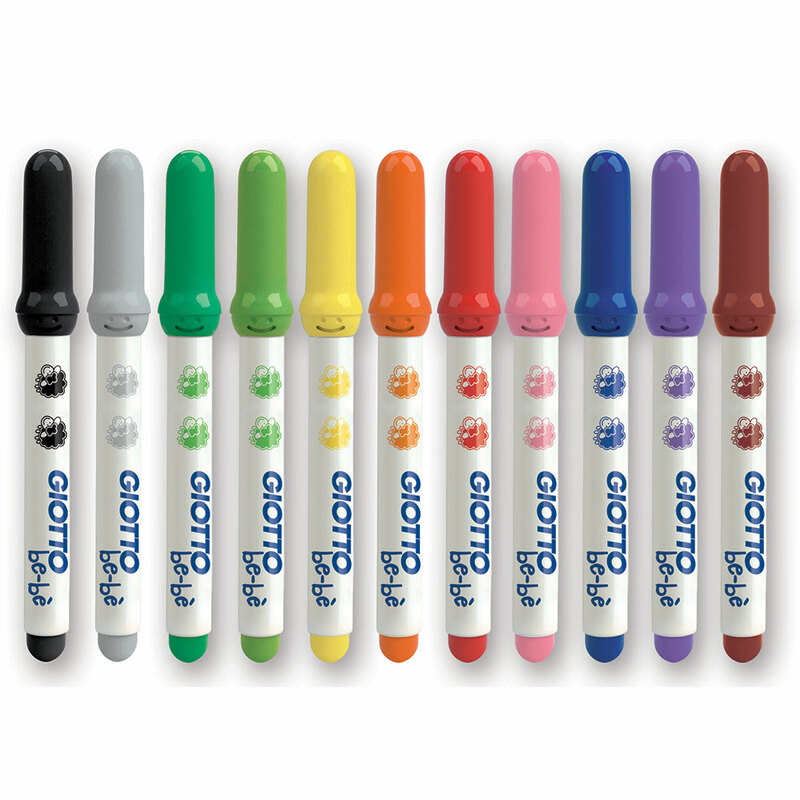 Available in a pack of 6 or 12 pens.